These instructions are shown using After Effects, however it is the same process for other host applications. With Knoll Light Factory applied, click the Options button to open the Lens Editor. 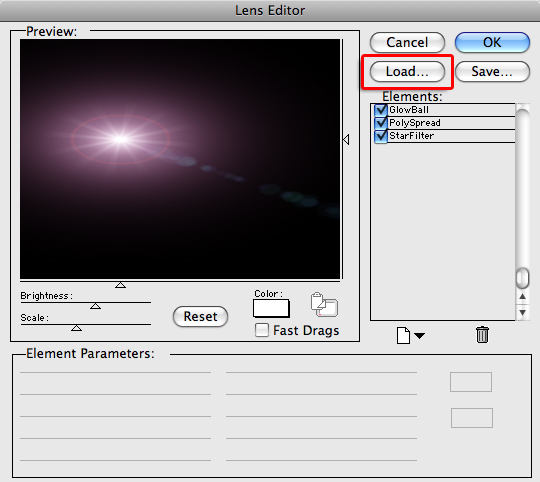 Click Load in the Lens Editor. 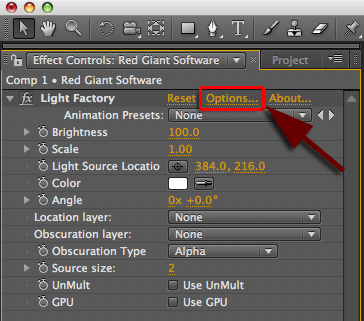 Open the directory as shown below, then select the desired lens and click Open to return to the Lens Editor. 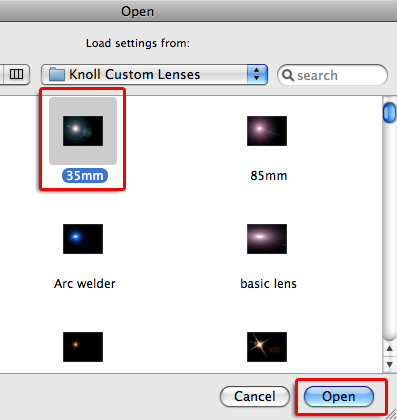 If you are missing the Knoll Custom Lens folder and need to download it again, see directly below for download links.